The HM2000 is an older table that is no longer being manufactured by the Tornado company. 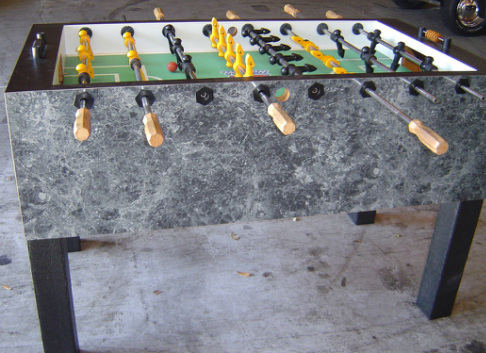 There was such a demand for the game of foosball in the 1970's when the Tornado company was formed that they had to make something suitable for home use that would resemble what players were used to at the bars. This was their response to that and it is equipped with commercial grade parts. The HM2000 was later replaced by the Storm II and eventually by the Classic, but the Home Model is a great table for its age. Since Tornado is American made with high quality parts, many people with these original tables purchase replacement Tornado men and bearings and they play just like new.